Are diamonds forever for Security Matters? Security Matters (ASX:SMX) has identified the mining space as a source of growth, filing a patent application for its tech to classify “minerals, precious stones, and diamonds”. It filed the patent application in the US for “a technology for classifying a sample based on the physical signatures of the sample, measured to one or more measurement schemes, and model-based analysis of data”. It’s a clear signal that Security Matters is seeking to apply its ‘track and chase’ solution to the mining market. It will be able to read the chosen samples using its own technology, and create a record on its own blockchain-enabled ledger — giving end users security that the physical object hasn’t been tampered with. The patent application clearly marks the way forward for Security Matters, which has been increasingly talking about its application to the mining market. 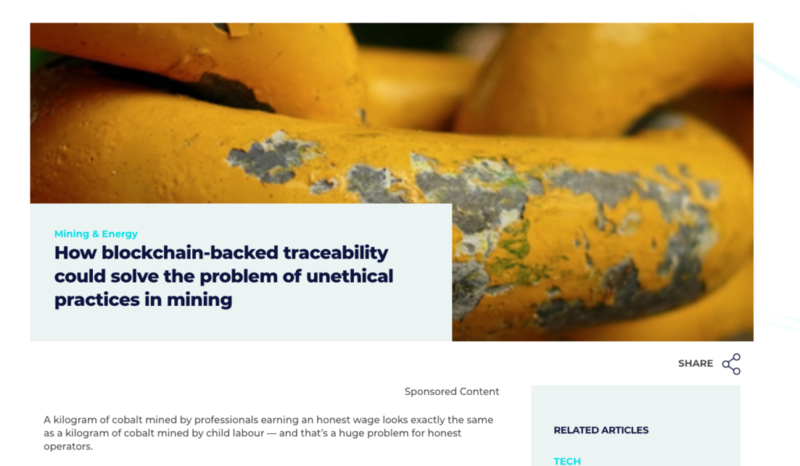 Earlier this month CEO Haggai Alon talked to Star Investing about the potential for its technology to help stamp out unethical mining practices. He said that he had been talking to many end users of mined products, who had expressed an interest in a solution like the one Security Matters provides. “I remember a few years ago we were talking with technology companies, and they were talking about the need to ethically sourced raw materials for their products,” he said. But the filing of the patent means that Security Matters can start discussing, in a very real way, the possibility of using its tech in the mining space. “We are focussed on gaining traction within the sector by demonstrating the ground-breaking and disruptive capabilities of our technology,” said Alon. Security Matters has already made more concrete moves in this area — having earlier sealed a deal with Perth Mint to work on a bespoke verification solution. Alon said at the time that the Perth Mint deal was just a sign of things to come. “The signing of this agreement represents the first step of us creating a global syndicate, on which we are now focused. It also demonstrates our ability to execute and deliver on our business model,” he said in a statement.